Red Bull has launched a new campaign to get consumers clocking off work on time. The energy drink brand says the campaign is aimed at helping people power through their work day and lead a balanced lifestyle, with a key consumption occasion for Red Bull being ‘at work’. The 360-degree, through-the-line campaign will run until the end of July, targeting blue- and white-collar workers through in-store presence and a limited-edition four-pack product. 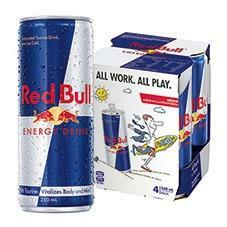 To further drive awareness of the at-work consumption occasion, the campaign will give consumers in 500 offices the chance to win an esky full of sample Red Bull products in the lead-up to the end of the financial year, supported by a #wingsatwork social-media campaign.